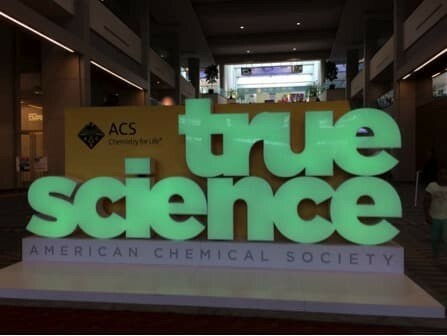 I’m grateful to ACS Publications for providing me with this wonderful opportunity to attend the 254th ACS National Meeting & Exposition, whose theme was “Chemistry’s Impact on the Global Economy.” When I was awarded one of the ACS Travel Grants for Librarians to attend my first ACS Meeting, I was very happy. I’ve been an ACS member for more than 30 years. Attending one of the national meetings was something I always hoped to do, but for various reasons was unable to do in the past. What greatly impressed me about the meeting was the wide scope of topics and subjects covered during the five days of the conference. All areas of chemistry and its applications were represented. In fact, there were so many choices that I had a difficult time narrowing down which sessions and talks I wanted to attend. After much thought and planning, I was able to attend a wide variety of presentations that were both relevant and interesting to me, on topics such as analytical chemistry, chemical information, careers and technology, chemical education, patents, and even travel to Mars. Especially fascinating was the Kavli Innovation Lecture on the multifunctionality of nanostructured materials, which have several promising applications, including medicine and encryption. Several of the sessions were on topics that provided transferable knowledge and skills. As an example, the presentations on science communication to the public and chemical education could also be applied to information literacy presentations and assessments done by librarians. The conference was larger than I anticipated, with simultaneous sessions being held in multiple hotels and rooms in the convention center. Fortunately, just about all of the venues were within walking distance of each other and also close to the hotels where attendees were staying. It was fast-paced but doable. Washington D.C. seemed like a good location since it is similarly fast-paced, bustling, and very walkable. I wasn’t expecting some of the attendees and presenters to be from Europe, including someone from as far away as Vienna, Austria. The attendees also comprised a very diverse group concerning occupation, such as students and professors; chemists working in industry, government, and private practice; and people employed in all sectors of chemistry-related careers, including librarians. The national meeting provided many opportunities to meet new people and consociate with colleagues I knew from the past during various stages of my career. The opportunity to connect with the Division of Chemical Information (CINF), of which I am a member, was especially beneficial. I met several CINF members through presentations and socials, which enabled me to learn new information and applications, as well as the opportunity to compare and contrast specific aspects of our jobs as librarians. I plan to share what I learned with my librarian co-workers at one of our upcoming meetings. Since a solar eclipse occurred during the national meeting, several of the attendees, including myself, were able to step out of their sessions and experience the partial eclipse visible from Washington D.C. together. This was a fun way to connect with other attendees. I found it somewhat difficult to try to attend the exhibition, in light of all of the interesting presentations that I wanted to attend, but I was able to squeeze in some time to visit the exhibit hall between sessions. I was expecting the exhibition to be bigger, comparing it with PittCon, which features analytical chemistry and lab science. 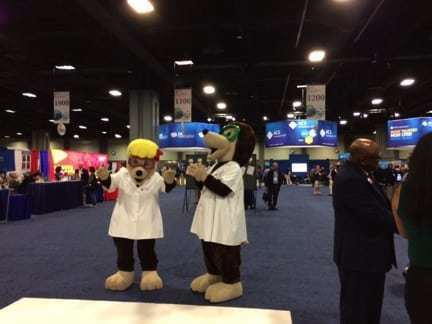 ACS had many exhibits that were both interesting and useful, such as career information, publication services, and a place for members to take a free headshot. There was much activity at the ACS booths. The Sci-Mix poster session was amazing. 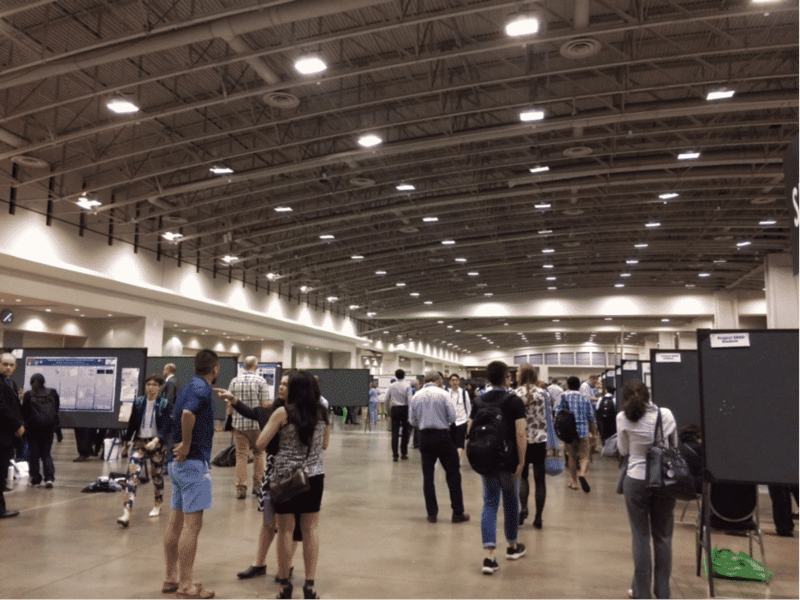 Upon entering a huge room, all I could see were endless rows of posters with the student researchers who created them standing nearby. I don’t think I’ve ever seen such a myriad of posters on so many topics before! It was very encouraging to see so many students (the best of their divisions) actively involved in chemistry, networking, and getting their careers off to a great start. Again, I’m glad to have had the opportunity to attend the meeting, and I think that every ACS member should attend at least one national meeting to experience all that it offers. Overall, I felt that attending the national meeting was valuable for keeping me up-to-date in chemistry, in my position as a science librarian, and in technology. I am proud to be a member of such a great organization!